exposarazzi: Peter Brady is losing his hair! God, now we feel really old! 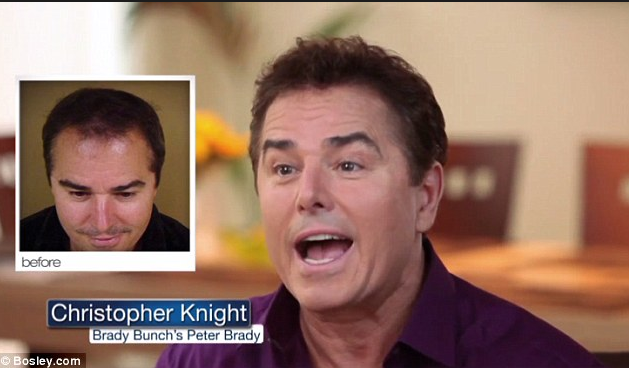 Christopher Knight (aka "Peter Brady" on the Brady Bunch 1969-1974) has had a successful hair transplant thanks to Bosley. Now the 56-year old can look really good while he's out buying all that "pork chops and applesauce..."